This article was originally published by the Ghana News Agency. Dec. 29, GNA – Sewing machines have been presented to ten young women after the completion of their two-year dressmaking skills training programme. 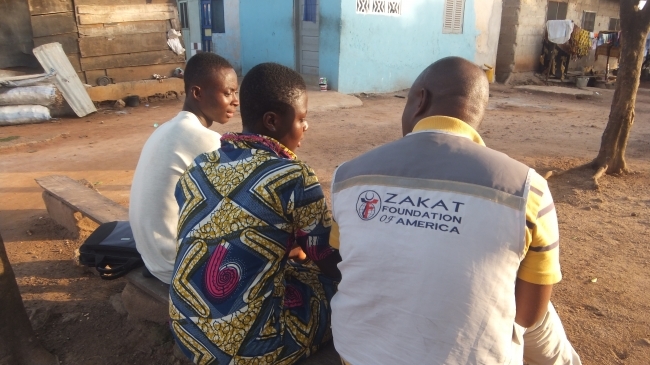 At the Zakat Foundation of America’s Vocation and Training Centers (VTC) in Bole, the ten recipients, five each from Kumasi and Bole, received their machines. Mr Habib Abubakar, Country Programme Manager of Zakat Foundation of America, said the project, which begun in 2006, has trained a total of 22 beneficiaries who are currently in business in their various communities. He said the programme was designed to reach out to the less privileged young women to enable them build crucial life skills through vocational training. Mr Salia Alhassan, the Zakat Foundation of America Country Director, who presented the items to the beneficiaries, said the goal of the Foundation was to address the immediate needs of the poor and less privileged. He said the Foundation’s areas of operation included orphan care, health care, mosque and housing construction, education and skills training and disaster support. Mr Alhassan said their programmes ensured that charitable giving was transformed into actions to help alleviate the immediate suffering of poor communities and build long term development projects. Mr James Jaaga, Bole District Chief Executive (DCE), said government alone cannot bring the needed development to all and there was the need to note the efforts being made by non-governmental organisations such as Zakat Foundation of America to improve on the living standards of the people. He said next year the Assembly would incorporate Zakat Foundation’s interventions into its annual development plans to help avoid duplication of efforts. Ndapewura Bukari Amadu, Chief of Wasipe and Secretary to the Bole Traditional Council, who represented Bolewura Awuladese Pontonprong II, Paramount Chief of the Bole Traditional Area, thanked Zakat Foundation of America for training and equipping their daughters with employable skills.